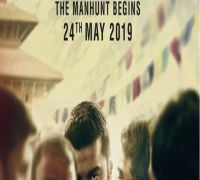 The teaser of India's Most Wanted starring Arjun Kapoor is out now. Based on true events, this story is a crime thriller based on the mission of arresting a wanted terrorist who is accused of carrying out 52 blasts that killed 433 people and injured 810 people. Arjun Kapoor plays the role of intelligence officer Prabhat, who willingly signs-up for a secret mission to capture India's most wanted criminal - dubbed as India's Osama- without any arms and support apart from that of his team. Prabhat and his team embark on a seemingly impossible mission, in which they have to arrest a nameless and faceless criminal responsible across several cities including Delhi, Mumbai and Bengaluru. The teaser open with lines that roughly credits as 'Soul never dies, body dies. I am not killing people, only sending them to other bodies.' Arjun Kapoor then is seen volunteering for the mission to find the criminal with a team of four other unlikely heroes. As soon as the actor posted the first look, the social media was flooded with comments from Arjun's industry friends. His Ishaqzaade co-star Parineeti Chopra reacted to the picture saying, ''Face nahi dikh raha. Best'' whereas Varun Dhawan wrote, ''Eyes'' in the comments section. Arjun’s girlfriend Malaika Arora also shared a fire emoji on the post. India's Most Wanted is directed by Raj Kumar Gupta, who has earlier made films such as Aamir, No One Killed Jessica and Raid. The film also stars Rajesh Sharma, Prashanth, Shantilal Mukherjee and Amrita Puri.